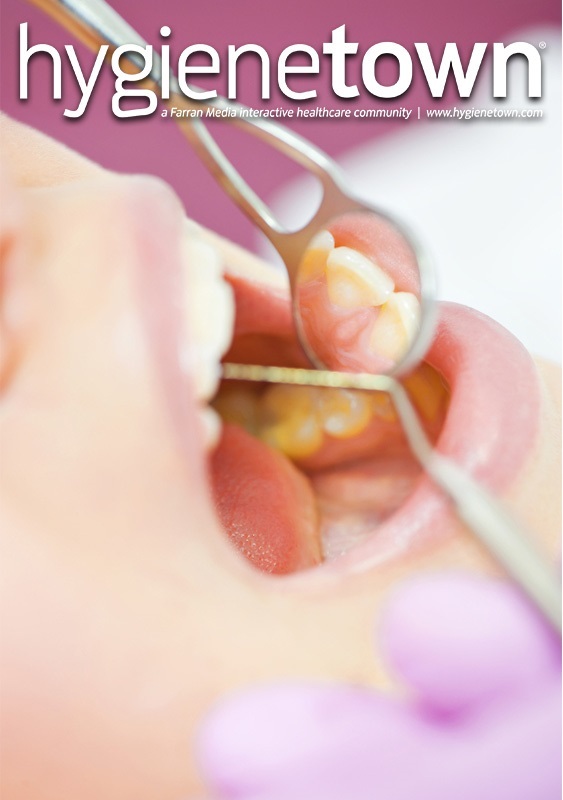 What comes to mind when you think of mobile dentistry? Be honest: Do you think of positive, happy things, or does a slow-moving chill gingerly run up and down your spine? For many dentists, recalling previous mobile dentistry experiences dredges up memories of one-time-only, pop-up volunteer events at home or abroad, usually on portable equipment that’s seen better days. With hastily repaired parts and little to no suction power, the ergonomic sacrifice your body made to compensate for shoddy equipment is not easily forgotten. Mobile dentistry isn’t at the top of most dental professionals’ bucket list. Public health clinicians have long sworn by the health care delivery model of providing services to the masses in places that are familiar and convenient to them—where they eat, sleep, work, learn, play and pray. Typically, nonprofit and charitable organizations have done this primarily with the use of mobile dental vans and portable delivery units, in the argument that this delivery model is a sustainable way to provide high-quality care. Can this business model be beneficial, or even sustainable, in a for-profit setting and outside of the public health sector? The answer begins to unfold when we take a step back and glance at the current snapshot of modern health care. Narrowing our focus to dentistry, the answer further unfolds when one learns that almost 40 percent of adults have not had a dental visit in the past year.3 Connecting with these patients in the places they naturally reside is precisely the way to bring them back into the local dental practice. A quick Google search is all that’s needed to uncover the innovative ways mobile clinicians are presently doing exactly this type of patient recruitment in the for-profit sector. 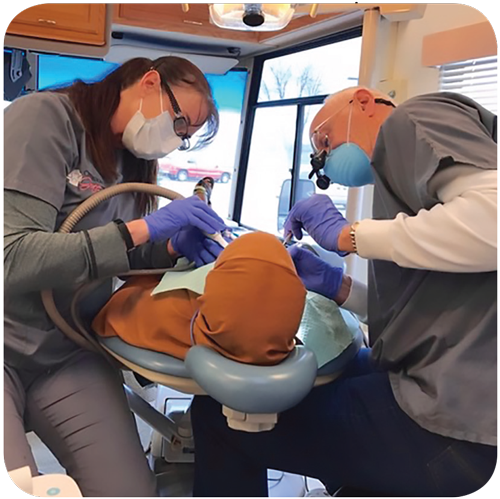 From offering on-site care to employees at their workplaces to parking dental vans at universities and even on city streets, mobile dentistry may indeed be making its way back onto a few bucket lists. Let’s also not forget how contemporary acceptance of mobile “anything” is on the rise—food trucks, tiny mobile houses, bookmobiles or even grocery delivery. Convenience is now a significant factor in the making of life decisions. With millennials beginning to embrace their role as leaders in the dental industry, and with the iGeneration now constituting a major portion of the patient base, the traditional solo dentist in private practice may become a thing of the past. Corporate dentistry, associate-driven practices, mobile services and other even newer provider models are paving the way for a dramatic shift. Supporting this shift toward mobile dentistry is the increasing availability of a plethora of groundbreaking technology. With a literal click of a button, teledentistry platforms make virtual consultations simple and practical. 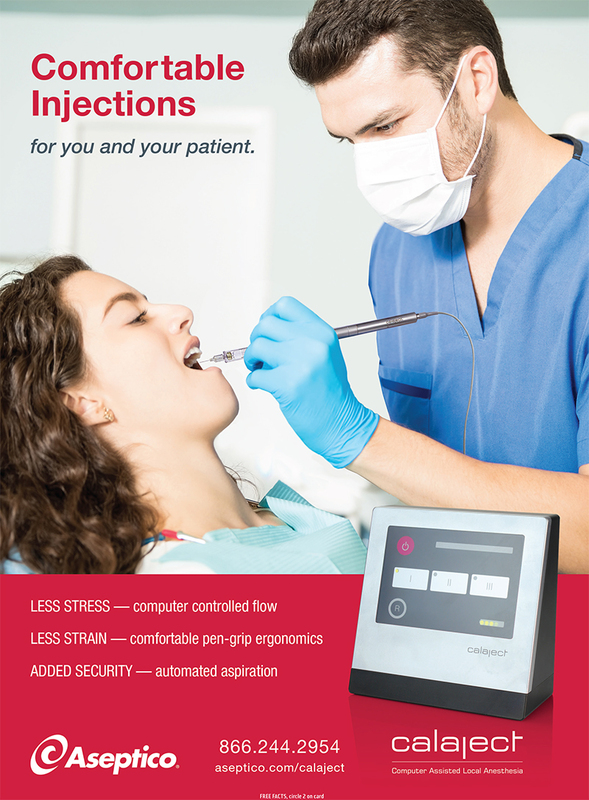 Affordable and easy-to-use intraoral cameras, portable X-ray devices and caries-detecting tools work together seamlessly to allow detailed and accurate off-site data collection. And don’t forget about CAD/CAM technologies and 3D printing that make instant prosthetic fixes a reality for mobile clinicians. If you’re interested in exploring mobile dentistry, keep in mind the following key considerations when starting a mobile program. Teledentistry is a must. Teledentistry is the glue that holds mobile dentistry together. If you’re considering adding any type of mobile service, whether it takes place far away in a remote location or in your local school down the street, easy access to cloud-based, HIPAA-compliant teledentistry software is a must. Teledentistry provides a way to instantly consult other care providers, acquire information and store it to review later, and even remotely monitor charts and treatment. With the recent release of the CDT teledentistry codes and the increase in the number of states that now have telehealth parity laws in place, teledentistry technology considerably multiplies the possible prospects of mobile programs. Use clinical team members at the top of their professional license. Whether a partner dentist or a licensed employee, utilizing a clinician’s full scope of practice allows a mobile program to find success. Familiarize yourself with your state’s rules and regulations—for example, some states permit dental hygienists to provide services at off-site locations and without the authorization and presence of a dentist. Creating an off-site hygiene program not only allows you to expand your reach but also opens up operatories for additional complicated and lucrative in-house procedures to be completed. Think outside the box and keep an open mind. Let’s not forget that there are more parts to the clinical team than just the dentist and dental hygienist. It’s possible that dental assistants in your state may be permitted to provide some services, like radiographs or assessments, in off-site locations and without a dentist directly supervising. New provider models like the dental therapist, community dental health coordinator, or expanded functions certifications for hygienists and assistants can also add substantial value to a mobile program. Don’t overlook the “mobile” details. Who will drive your mobile dentistry van or trailer, and will they need a special license or certain qualifications? Who’ll be on hand to maintain and fix mechanical breakdowns? Who’s responsible for transporting portable units to the facility and then getting them inside? Is there access to an elevator, or will clinicians be expected to carry equipment up and down the stairs? Will the clinicians be driving their personal cars to off-site locations? If so, will you reimburse for mileage and vehicle wear and tear? How long will it take to set up and tear down operatories? How will clinicians be compensated for all this nonclinical time? How frequently will your mobile services occur—daily, weekly, monthly? It’s imperative to address these questions in the initial planning stages. Climate, location, compliance and more. Additional considerations like climate, rural or urban location, and size of the operation also matter when implementing a mobile program. If you live in a climate with extreme temperatures, how/where will you store a mobile unit? Extreme cold temperatures can freeze water lines and waste pipes, and both hot and cold can affect the efficacy of clinical products. Is there space in the facility for sterilization, or will that happen off-site? Invest in the gold standard of equipment as often as possible, because things like frequency of setup, weight and technological ease can make or break an operation. Be sure to consult with HIPAA, OSHA and CDC compliance experts, because mobile services often present new and unique situations. Familiarize yourself with local municipality and DMV regulations regarding the transportation and disposal of medical waste. And don’t forget to have patience with yourself, because with anything new, it may take some time to work out the kinks to find out precisely what works best for you and your team. 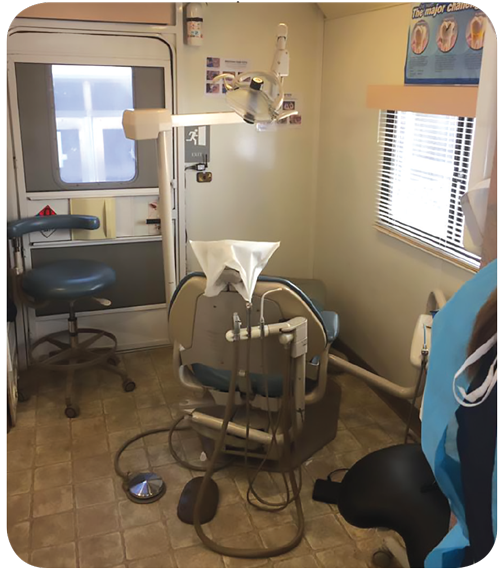 Though space may not be abundant on mobile units, it is still possible to create a “normal” dental office feel with the latest technology and tools. With portable and mobile services, remaining flexible is key due to the many moving and last-minute parts of the operation. Volunteers from Operation Grace MN provide restorative services to students on Lil’ Flossie, a 2001 RV outfitted with two full dental ops. Here, the author is shown using a handheld, portable X-ray device. As evidenced by the photo, portable devices save valuable space when compared to their traditional counterparts, creating much-needed room for other necessities. Floss Bar. The mission of this New York City startup is “Do Dental Differently,” which translates into creating a comfortable, convenient patient care experience where preventive care is provided via mobile equipment in workplaces, corporations and even residential towers. This model of service provides patients with lower out-of-pocket expenses for preventive care and is a way for dental hygienists to advance and grow in their career. 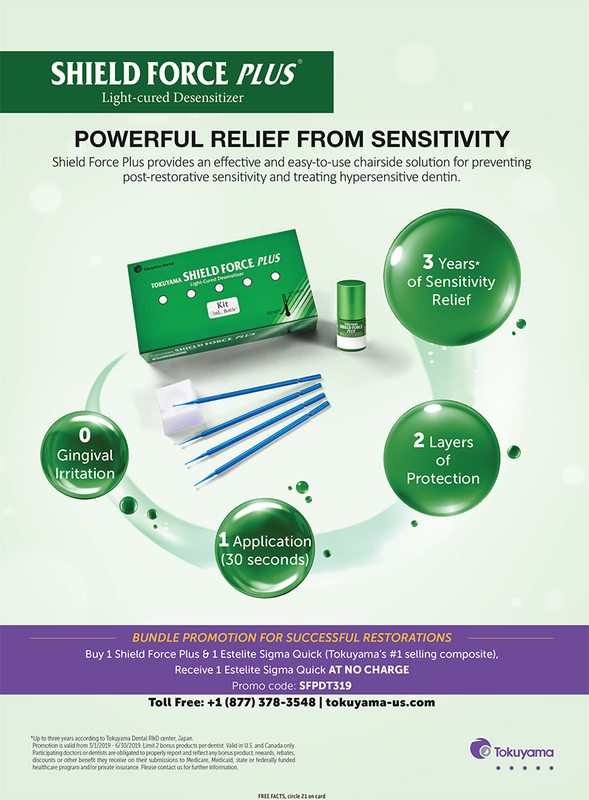 Dentists also benefit because Floss Bar acts as a pipeline and refers patients to fixed practice locations, thus growing a practice and optimizing chair time for additional restorative procedures. With a current focus in the Northeast, Floss Bar is now partnering with corporations and dentists in additional states in order to expand services across the country. Miles2Smiles. This Oregon-based, dental hygienist-owned practice provides mobile services to patients in homes, long-term care facilities and other nontraditional locations. Expanded practice certifications allow hygienists to provide care without the on-site presence of a dentist. Miles2Smiles focuses on providing treatment to patients confined to wheelchairs or beds, as well as to those who have dementia and other special needs. A traditional fixed operatory, which can be established directly within an existing facility. A mobile trailer that travels and parks on-site. A pop-up portable unit that can easily be situated within a designated site in the workplace itself. Studio Dental. A typical hub-and-spoke mobile model that provides a full range of dental services, with one brick-and-mortar location considered its headquarters (hub) and five dental trailers parked at “fixed” locations throughout San Francisco (spokes). These trailers are also available to bring preventive and restorative services to places of employment upon request. Apple Tree Dental. In addition to multiple fixed-office locations around Minnesota, the company partners with more than 130 collaborative organizations to provide on-site treatments. Inspired by the Mayo Clinic model of care, Apple Tree provides preventive and restorative dental care in schools, elderly nursing facilities and even pediatric medical facilities. Virtudent. The teledentistry pioneer based in New England provides preventive services from portable units situated temporarily within the patient’s workplace, while an off-site dentist virtually reviews the intraoral photos, radiographs and assessment data. Patients use an online portal to schedule appointments, complete necessary paperwork and review dentists’ recommendations. Children’s Dental Services. 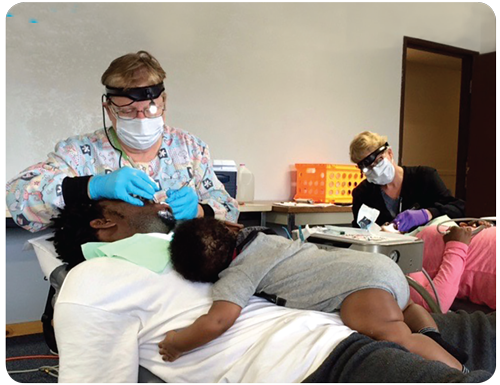 A nonprofit corporation dedicated to providing care to low-income families, using dental hygienists and dental therapists to provide direct care. With two permanent hubs, mobile services are offered in more than 600 satellite operatories within schools and other community locations throughout the Midwest. The following products are a few favorites of many mobile clinicians. Fig. 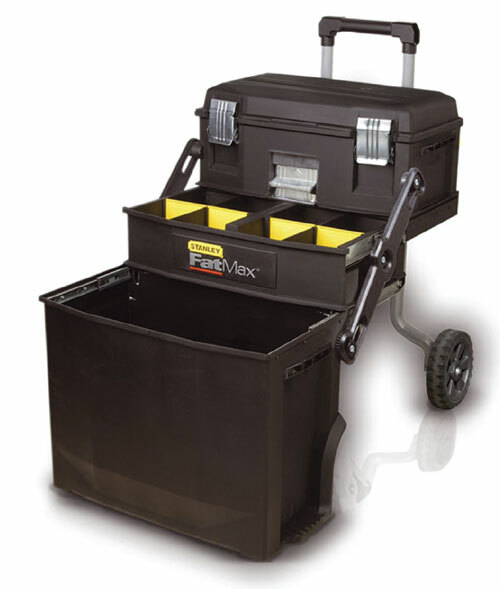 1: The Stanley FatMax wheeled storage container is one of the most popular among mobile dentists for supplies. Teledentistry technology. Finding an easy-to-use, reliable teledentistry software is one of the most crucial facets of a mobile dental program. Products like TeleDent, a cloud-based, HIPAA-compliant platform created by MouthWatch, can help streamline communication and instantly connect patients to providers. Adding an intraoral camera and a webcam allows for diagnostic image capture during a patient visit for later review or a consult in real time. Silver diamine fluoride. Cleared by the FDA in 2014 for use as a desensitizing agent, silver diamine fluoride has caught the attention of clinicians for its off-label use as a caries-arresting agent. It is simple to use, quick and effective, making it an ideal product to have on hand in a mobile kit. Hands-free and portable clinical devices. Unfortunately, mobile clinicians don’t always have the advantage of ample space and extra hands. This is where hands-free and portable devices really prove their worth. Loupes, headlights, portable X-ray units, and isolation systems like Isolite are vital to save space and time in the operatory. High-quality portable delivery units and patient chairs. Companies including Aseptico and DNTLworks Equipment Corp. specialize in portable and self-contained delivery units. More-complex units are built to provide for both restorative and preventive services, while simpler units exist for prevention-focused programs. A high-quality unit will be easy to assemble and will boast powerful suction with minimal noise pollution. Likewise, a high-quality portable patient chair will allow clinicians to remain in the most ideal ergonomic position. Durable supply storage containers. Sometimes it’s the little things that matter the most! For clinicians working with portable equipment, finding the perfect storage for supplies is an often-overlooked detail that can have significant impact on day-to-day operations. Although a wheeled storage container is ideal, use of a high-quality collapsible dolly can also be effective. By far, one of the most popular storage units among mobile clinicians is the Stanley FatMax workstation (Fig. 1), which is not only mobile but expands upon opening, preventing clinicians from having to unnecessarily unpack supplies to place on a counter. CAD/CAM technology. Computer-aided design and manufacturing has made single-visit restorations a real possibility for mobile dentistry. 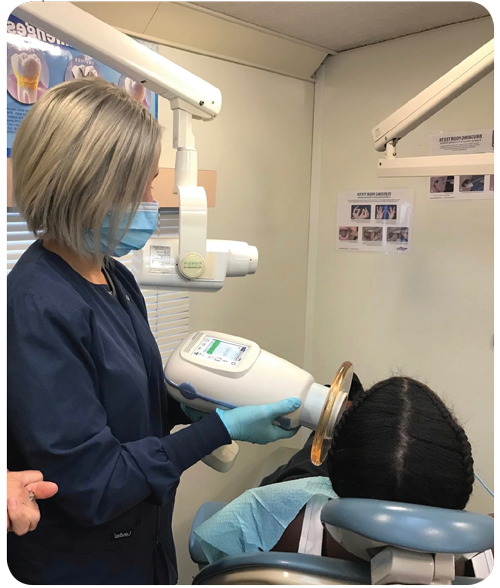 CAD/CAM systems such as Cerec allow mobile clinicians to offer expanded services and increase profitability, potentially mirroring the services and successes of traditional fixed dental practices. Curious to see if mobile dentistry is right for you or your practice? Your first step is to connect with mobile clinicians who are currently practicing. Visit their operations, discuss the ins and outs, and engage them in your initial brainstorming phase. Don’t be afraid to start small by using one clinician and in one location. Find what works best and then expand from there. And don’t forget to check out the “Top Resources” sidebar in this package. Even though mobile dentistry has its historical roots in the nonprofit and public health niche, technological advances and shifting cultural characteristics have shed new light on mobile services as a successful for-profit delivery model too, and in fact, it may indeed ultimately transform the future for both dental clinicians and patients alike. Will you join the movement? I Heart Mobile Dentistry. A one-of-a-kind, supportive online network of mobile clinicians from around the world. Join this Facebook group to meet practicing mobile providers and product suppliers to discuss best practices and to receive product discounts. Melissa Turner, BASDH, RDH, EFDA, is a dental hygienist who provides direct care in nontraditional, alternative practice settings. 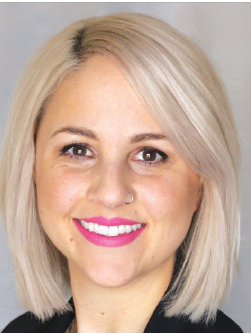 She is director of volunteer operations for Operation Grace MN, a mobile program that provides free dental care to underserved students in schools and other locations across Minnesota. Turner has practiced clinically across the country and is a key player in various projects related to health equity, access to care, and interprofessional collaboration. She is an active leader in the American Dental Hygienists’ Association and is executive moderator for The Dental Peeps Network. Turner is founder of I Heart Mobile Dentistry, a Facebook group geared toward supporting mobile clinicians across the world. 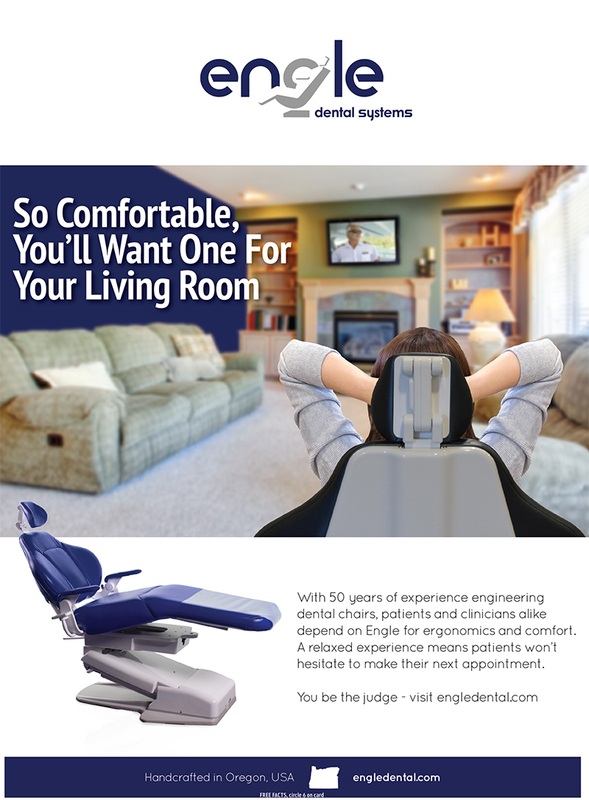 Support these advertisers included in the March 2019 print edition of Dentaltown magazine.